Dr. Mona Vand is a Certified Pharmacist, author (Food For Skin), and entrepreneur who loves to share her tips for leading a healthy lifestyle. She educates her audience through YouTube videos, a blog, and Instagram on maximizing health by taking care of both their bodies and minds through nutritional food recipes, clean beauty, and fitness tips focusing on natural solutions. Based in LA, Dr. Mona has been featured on NBC, The Telegraph, The Doctors and more. One of the most frustrating things about the food industry is that it tricks people into thinking that they’re eating something healthy, natural, or clean when really, they’re not. After six years of pharmacy school, eight years of working as a pharmacist, and 10 years of personal experience in health, fitness, and wellness, I have researched and learned about how to look out for fake healthy foods. But I’m not here to tell you what to do—I hope that by sharing this information, you’ll be more aware of what you’re eating, and then you can make your own choice about whether or not you want to eat it! 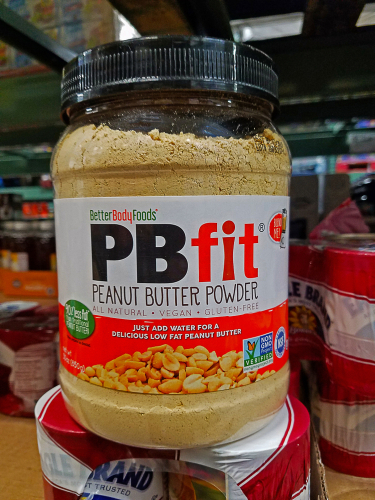 For those of you who aren’t familiar with PB2, it’s basically a powdered peanut butter made by extracting natural oils out of the peanut and dehydrating what’s left, yielding a powder in which 90% of the fat is removed from the peanut. The nutritional profile of PB2 is, at first glance, amazing. For 2 TBSP, it’s got 45 calories, 1.5 grams of fat, 5 grams of carbs, 2 grams of fiber, 1 gram of sugar, and 5 grams of protein. But from a general overlook of the product, it’s not really healthy. First of all, it’s not organic, which is an issue here because peanuts are one of the most heavily sprayed crops. Basically, the amount of toxic pesticides that could be in the powder could cause toxins to build up in your body. Also, let’s just talk about peanut butter in general. Did you know that most products that include peanuts as an ingredient do not disclose the fact that there is mold present in the peanuts they use? In general, peanuts are highly susceptible to mold! Jungle peanuts are one of the only peanuts I know of that don’t produce toxins, but in other peanuts (including the ones used in PB2), there is mold that creates a carcinogen called aflatoxin. In the US, the FDA allows a certain amount of aflatoxin in our food system, but even though it’s approved in small doses, the fact that this powder could contain something that is a known carcinogen is enough to mark it as fake healthy. 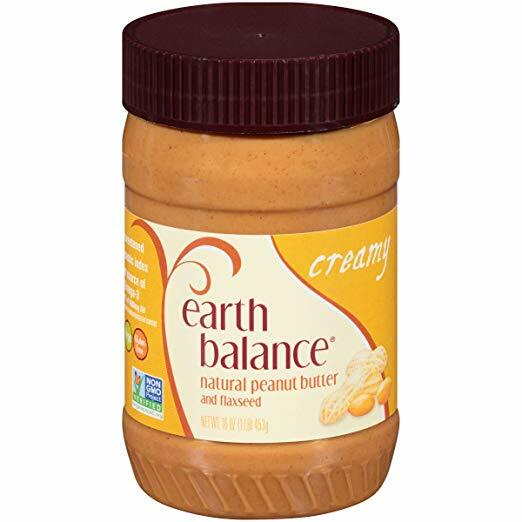 Healthy substitute: raw almond or walnut butter! You’re still getting healthy fats, protein, and energy. Just without the toxins and mold. It can feel like it’s almost impossible to buy a loaf of bread at the store that’s actually healthy. I’ve gone up and down the bread section, and I always see added sugars, artificial colors, GMOs, dough conditioners (like azodicarbonamide, which is literally used as a cleaning chemical), and more. 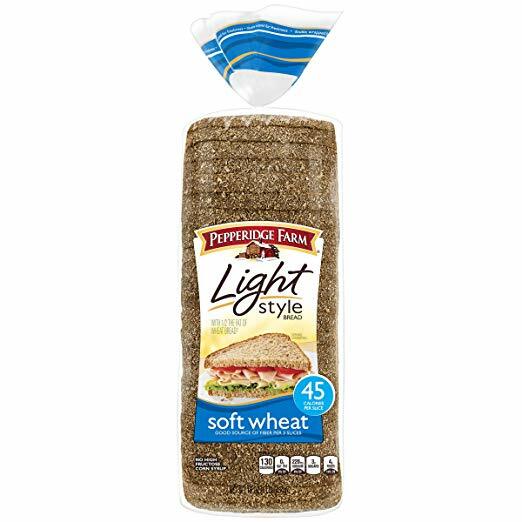 Do not buy a loaf of bread like Pepperidge Farm’s Light Style Whole Wheat bread and go home thinking it’s healthy, just because it’s 45 calories and only 9 carbs per slice. It is FILLED with unhealthy ingredients and is 100% fake healthy! Instead, go for something like Ezekiel Bread. I promise you, the quality of this bread—even though it’s higher in calories and carbs—will help you keep weight off better than the processed stuff! Whenever you choose clean ingredients, your body will react better and help you stay leaner (no chemicals, no additives, no bullsh*t). 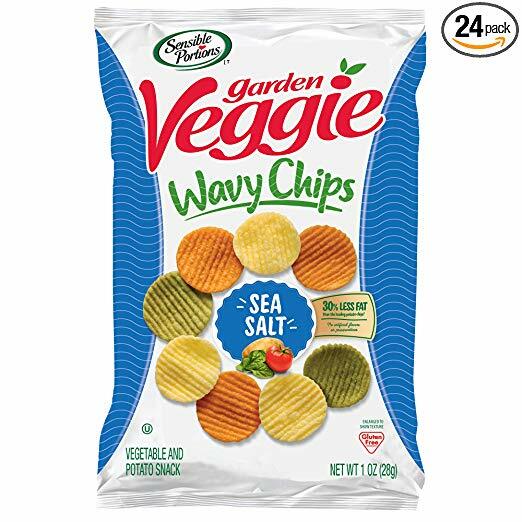 Veggie chips are one of the biggest marketing tricks, and it actually kind of kills me when I see people eating these and thinking that they’re making a “smart” choice. I don’t mean to sound dramatic or patronizing, but it frustrates me when I see people who are making an effort to eat healthy getting fooled by fake healthy foods. So to break it down for you, a veggie chip is usually not much different than a regular potato chip. There are two ways brands can get around this: they can take a regular chip (a fried, oily, greasy chip), and then add just a smidge of beet powder, and voilà–it’s a veggie chip. The other way to get around this is by using sweet potatoes. Sweet potatoes are, by definition, a vegetable. So are white potatoes! They’re just starchy vegetables. So next time you’re snacking on veggie chips, read the ingredients on the back. Most of the time you’re still eating potatoes processed and fried in oils, so you’re still getting just as much fat and sodium as you would in a regular chip. The better choice: Instead, I recommend finding true veggie chips. These are often in the healthier aisle of the grocery store (sometimes in the “raw” aisle). Look at the ingredients and make sure that they’re actually vegetables (green beans, beets, carrots, yams, etc). Don’t get me wrong—oatmeal can be great for you. 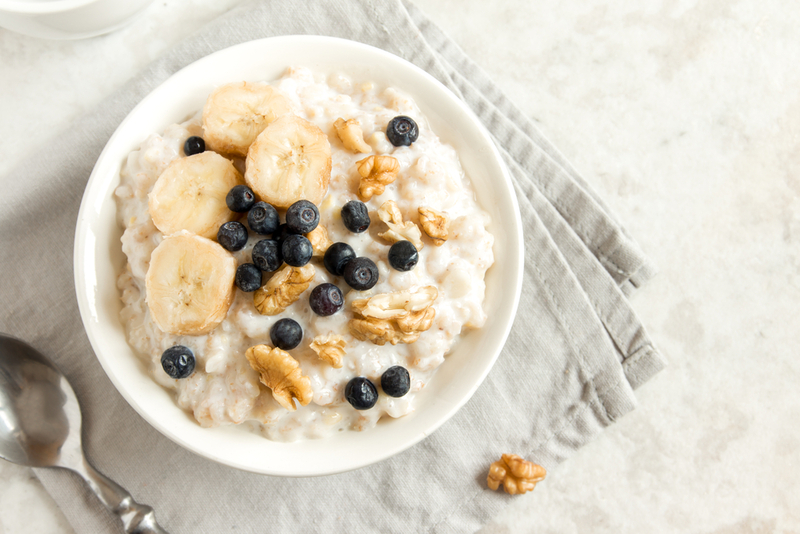 It’s heart-healthy—oats are a great source of both healthy carbs and fiber, they’re rich in antioxidants known to lower blood pressure, and they’re filled with other beneficial micronutrients. The tricky thing is knowing which kind of oatmeal does all of the above, and which is the kind that’s just fake healthy. The packaged oatmeal that comes pre-flavored is the culprit here, which is frustrating because when you go to a grocery store and look at the selection of oatmeal, the brand packaging and labeling makes it so difficult to map out which ones are clean and which aren’t. What you need to look out for are the ingredients on the back of the box (this is always what you should look out for on any food). So even if the box says “natural” or looks super clean, look for things like cane sugar, maple sugar, or natural flavors. The problem with these additives is you don’t know where they are sourced from. So something like “natural cinnamon flavor” is most likely not just cinnamon. There is a very easy solution to this—just buy PLAIN, unsweetened oatmeal. It can be a big sized package or the individual ones (the individual ones do come in handy for breakfast at work, etc.). Then, you can feel free to add healthy, natural sweeteners or spices yourself! That way, you’re in control of the amount and quality of ingredients you’re eating. This makes a huge difference! Using a little organic maple syrup or coconut nectar in your oatmeal is much, much, much better than eating packaged oatmeal with cane sugar and “nature maple flavor.” I personally like to get plain oats, then add cinnamon, nutmeg, stevia, and a little raw cacao. Then top with almond milk. It’s SO GOOD. One of the easiest mistakes to make is thinking that you’re having a healthy, nutrient-filled juice or smoothie when really you’re basically drinking processed, sugary juice. Almost every single store-bought smoothie (even the freshly made ones) are filled with added sugar. 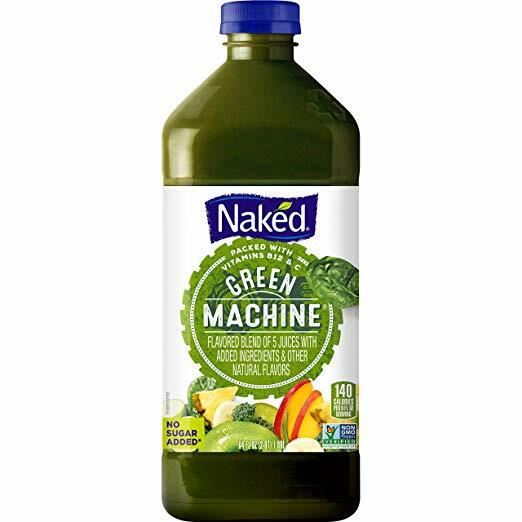 The one that REALLY gets me is the Naked Juice “Green Machine.” When you read this, you assume you’re drinking a green smoothie/green juice. But if you look at the ingredients, there is a LOT of fruit juice and “natural flavors.” Here are the ingredients: apple juice, mango puree, pineapple juice, banana puree, kiwi puree, spirulina, natural flavors, alfalfa, broccoli, spinach, barley grass, wheatgrass, ginger root, parsley, kale, odorless garlic. At first glance, these ingredients may seem harmless, but there’s literally 53g of sugar in this “green machine.” The American Heart Association recommends no more than 25 grams of added sugar a day for women and 38 grams for men. So in this “healthy” green juice, you’ve gotten double your daily amount. Yikes. As a healthy alternative, have a piece of fruit and/or an organic, cold-pressed green juice. While we’re at it, let me mention one more. A while ago I was drinking a juice from BluePrint. I specifically sought out this exact juice because it’s organic, and there are only greens in the juice (I prefer all greens in my juice, and fruit + greens in my smoothies). So I bought like four of them to hold me over for a few days, and when I got home, I looked on the back and noticed the ingredients: organic cucumber juice, water, organic kale juice, organic celery juice, organic lemon juice, organic spinach juice, organic watercress juice, natural peppermint flavor. 74% juice. Here’s the thing—if you’re going to drink a green juice, drink an actual pure, organic, natural green juice. Don’t drink one that’s watered down and that has flavor added! The whole point of drinking green juice is to get the amazing health benefits from greens. Either go all in, or don’t bother. Even brands that are organic and cold-pressed find ways to trick you so they can make more money. They water down their juice and then add peppermint flavor so you won’t taste the difference. Also, I personally think the peppermint flavor is overbearing. I’d prefer fresh mint leaves, please. Healthy option: aside from blending the drink yourself, go to a juice shop or smoothie shop where they make it in front of you. More importantly—learn to look beyond (far beyond) the label, font, and claims on the front of a juice. Just look at the ingredients on the back, and choose one that has nothing but the organic fruits and greens you want. Better option: raw, unroasted, unsalted nut butters. I recommend raw, because when you roast almonds, walnuts, or any nut, they lose some of their nutrients. Raw is easier to digest and better for you. I personally love Artisana and MaraNatha. Still, check the label, as these brands often make different variations (some MaraNatha products are not raw, while others are). In the past couple years, there have been so many new sugar alternatives. We have coconut sugar, stevia, monk fruit, agave, and many more. But the one I want to single out is agave. Sugar, in general, should be avoided (and I think most of us know that), but I have a problem with agave companies that try to brand their product as a “healthy” and “all-natural” sugar alternative, when the heating process of turning an agave plant into a syrup actually destroys any nutritional benefits, and we’re left with a glorified sugar syrup that has more fructose than high fructose corn syrup. 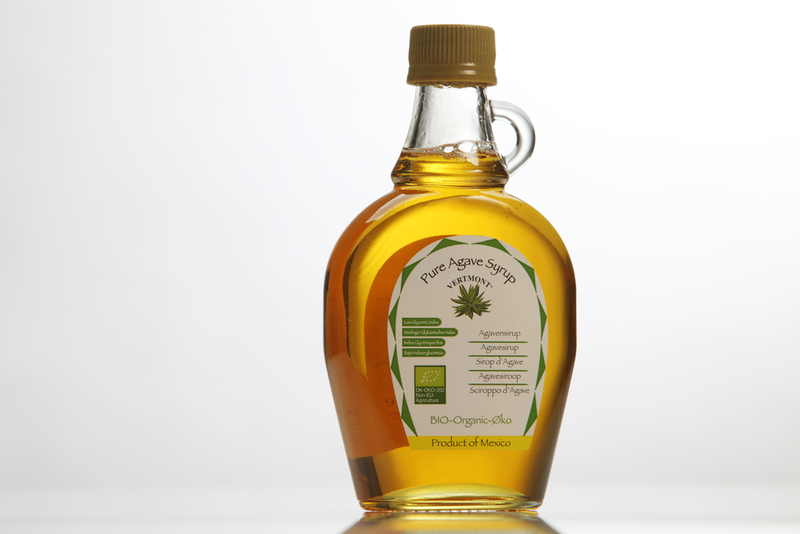 When a product, like agave, is high in fructose, that means it’s high in a sugar that our body is not able to properly process. Because we can’t process it, it ends up being metabolized to fat (which is why it can cause weight gain, high blood pressure, and can even contribute to Type-II Diabetes). Agave companies have labeled and branded themselves so well that most people would pick agave up at the store and think they’re making a healthy choice, but this is just another fake healthy food that everyone should be aware of! Agave is no better than regular old sugar. If you want a cleaner option, use coconut nectar or stevia drops—a little goes a long way with them, and they will not spike your blood sugar levels or be stored as fat. Afghan army lands helicopter on taliban IED inside their own base.